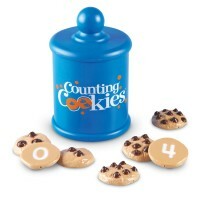 Imagine, that whenever your kids get cookies from the cookie jar, they actually learn counting and numbers! 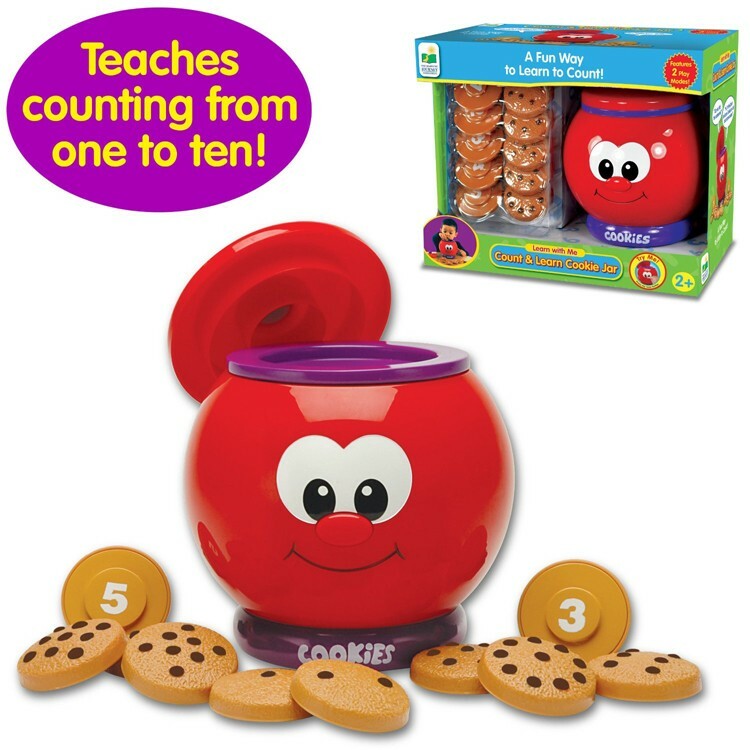 Imagine, that whenever your kids get cookies from the cookie jar, they actually learn counting and numbers! Sounds too good, yet, this is true if they play with our Count & Learn Cookie Jar Numbers Learning Toy by the Learning Journey. 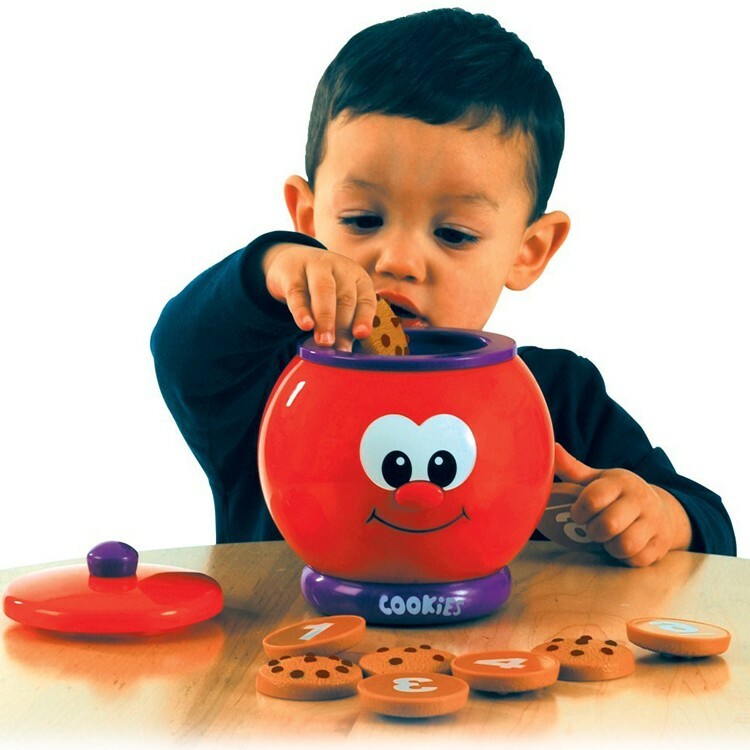 This talking cookie jar smiles its best at your little learner, while helping him/her to count the delicious looking cookies from 1 to 10. If you can count cookies, how about counting the colorful chips on every cookie? The back of the cookie will show you the number to see if you did it right! 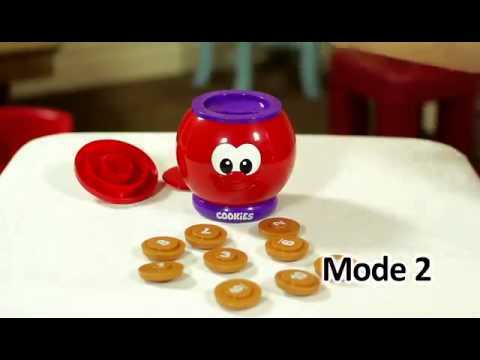 The adorable counting jar from Educational Toys Planet has also another play mode - number recognition. 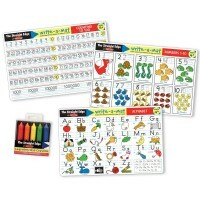 The bright red jar will encourage your child to play and learn with some friendly phrases as 'Can I have another one?'. 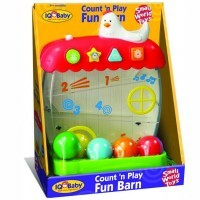 This quality toddler electronic toy makes learning math exciting and fun. 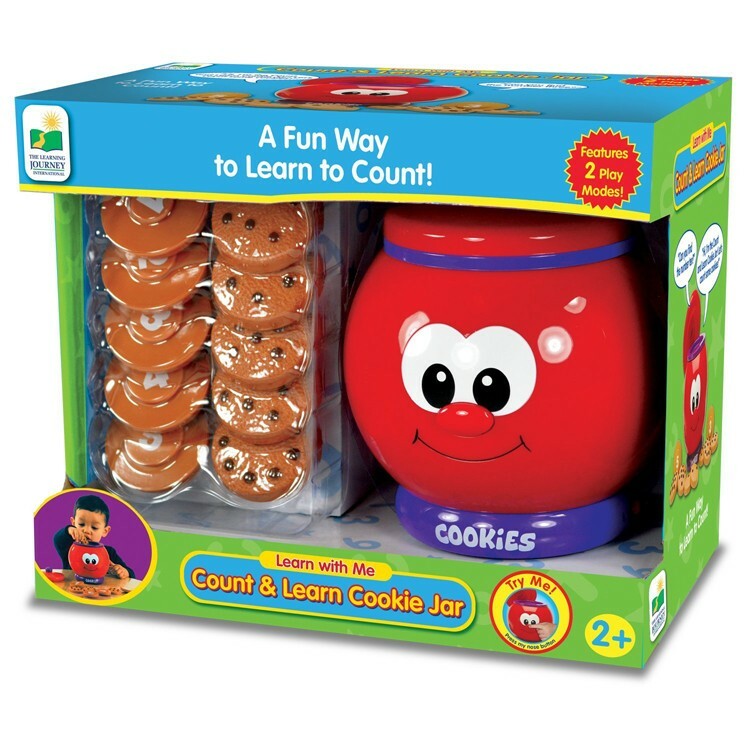 Count & Learn Cookie Jar Numbers Learning Toy requires 2 AA batteries (included). 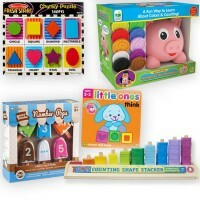 Dimensions of package 4.72" x 7.09" x 7.09"
Write your own review of Count & Learn Cookie Jar Numbers Learning Toy. Rating: 5 Adorable toy! by Grace received this toy for my daughter's birthday from my aunt. The jar works great. All kids who come to our house take the cookie jar first. It's so cute! And it talks! 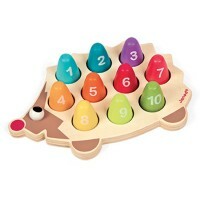 Rating: 5 by Robert, NJ Good quality item for little ones. Thank you! 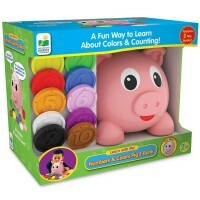 Rating: 4 brightly colored by RONNIE, FL It's brightly colored and makes learning numbers and counting fun for the little one. My granddaughters love putting the cookies in and taking them out of the jar. They are still quite young (22 months) but already seem anxious to know their numbers, thanks to the Count & Learn Cookie Jar! Rating: 3 by Cecile, LA My grandaughter just turned 2; so the concept of putting the cookies in the jar in order is too advanced for her. Maybe the age appropriateness should be raised . She likes to hear the numbers said,and put them in however,.I like that there is a place to keep the cookies contained. 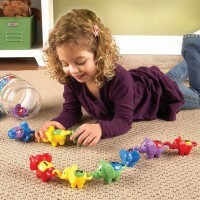 Rating: 5 by Natasha, FL My 2 year old LOVES this toy. It took her a bit to figure out how to take off the back to let the cookies out so she can put them back in the jar again, but once she figured that out she has been able to play with this toy for hours. She's still a bit young to use the numbers, she'll count as she put them in, but I can see how the toy will last the game of finding the right number. Rating: 5 by Melanie, CO This toy is really adorable. My 2 year old loves playing with it. He already knows all the numbers, and pronounces them along with the jar. 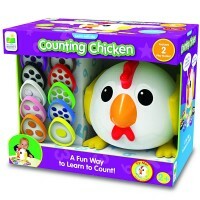 Rating: 4 by Jill, WI Cute, very good learning opportunity with numbers and counting. For younger children it may be a little frustrating as there is only one way to get the cookies to fit through the opening at the top. Rating: 4 by Marianne, MS I bought this as a Christmas gift for my grandson, so since he hasn't opened it yet, I'm not sure how he likes it, but in the package it looks cute. One problem though: as I was packing it to send off, it started talking. I hope it doesn't talk during shipment and freak out the truck driver!